In mid‐December the U.S. Census Bureau released figures on population growth over a 12‐month period that ended July 1, 2018, as well as migratory patterns of U.S. citizens moving from one state to another. While the bureau’s study showed one of the weakest U.S. population gains in years – since 1937, in fact, at 0.6 percent, the study clearly defined four western states with the greatest population growth, year‐over‐year, as a percentage of existing population. They were, in this order, Nevada (2.10 percent), Idaho (2 percent), Utah (1.85 percent) and Arizona (1.7 percent). Not surprisingly, Texas and Florida have continued to add population and are among the fastest growing states in the country. The following brief account of business growth in these four states is an example that others may follow, or already have, while also providing some insight for investors and developers seeking the best returns on their capital. The new American mobility is often driven by cost‐of‐living issues and life cycles. Bankrate, a financial data website, recently published a “cost of living calculator,” which allows the user to see how moving from one metropolitan area to another changes living costs, factoring in food, clothing, gasoline, energy, medical services etc. In one example, someone moving from the San Francisco Bay Area to Austin, Texas, a person earning a $75,000 annual income in the Bay Area could maintain the same standard of living for $40,816, where overall costs are 45.6 percent less, including 74 percent less to buy a median home or 67 percent less for an apartment rent. “We have seen significant in‐migration from California and other states in recent years. We attribute our revenue growth to the fact that we have added more agents, production and services,” says Terry Martin‐Denning, a Principal at NAI Horizon, with offices in Phoenix and Tucson. Her office increased gross revenue by 2.5 percent from 2017 to 2018, yet grew revenue by 30 percent over the past three years by adding a self‐storage practice group (headed by Denise Nunez), five new agents in Phoenix last year and two in Tucson – which is at capacity in the space it leased just a few years ago, with 15 people. She would also like to add a multifamily investment sales team in the near future. “Phoenix now has an educated workforce and labor pool and has become a good candidate for technology and financial services firm. Add a favorable cost of living and lower business and personal tax rates and it makes Arizona an attractive option for companies that are expanding or relocating,” she said. Personal income tax rates have become a huge reason why these western states, Texas and Florida, have drawn so many people. Personal income tax is zero in Florida, Texas and Nevada, Utah’s is a flat rate for all at 5 percent while state income tax is progressive at only 1.12 percent to 6.925 percent in Idaho, and 2.59 percent to 4.54 percent in Arizona. By comparison, California’s is 10.3 percent to 13.3 percent, New York’s 4 percent to 8.82 percent, and it’s 6.35 percent in Connecticut. In Reno, Senior Vice President and Principal Kelly Bland with NAI Alliance told me that they recently added a multifamily investment sales specialist because single‐family housing has gotten so expensive, demand for apartments is up substantially. His office also added one retail agent, one office agent, one industrial agent and one generalist agent because population growth has generated demand across all property sectors. “Our proximity to California is the main reason for Reno’s growth. The state has almost 40 million people and the Reno‐Sparks Metro Area just 425,000 so it doesn’t take a large portion of relocating Californians to have a large impact locally,” Bland said. In the last twelve months, NAI Vegas added eight agents, expanding each of the office, retail, industrial, and multifamily teams, according to Jon Walter, CCIM and Chief Operating Officer. Walter cited job growth, a more diverse economy, and retiring Baby Boomers as other reasons for population increases in Las Vegas. Adding professional sports (NHL’s Golden Knights, UFC and soon, the NFL’s Raiders) to gaming as well as a booming industrial market are contributing factors to the growth in Vegas. Operating as NAI Excel in Utah, his group opened a new office in Northern Utah’s Lehi City in 2018, which is an area dubbed “Silicon Slopes” for the technology companies that have clustered there and the skiing nearby. In addition to having an innovative and highly educated workforce, Utah captivates people for its outdoor activities such as skiing, national parks, and warmer Southern Utah climate where their third office is located. In the last eighteen months these offices have increased by more than 50 percent both in revenue and number of sales professionals. Salt Lake City‐based NAI Premier has added eight new agents and one new property manager in the past year, and plans to open a new office in the Centerville/Layton area in the next year and staff it with three‐to‐seven agents. Marlon Hill, a Principal with NAI Premier, said his office’s brokerage revenue grew from about $700,000 three years ago (when he started with just three agents) to $1.6 million in 2017 and a little over $2 million last year. He expects it to be in excess of $3 million this year. In the last three years NAI Premier has added 19 professionals and staff, including property managers and a research specialist. Meanwhile, in Boise, Idaho, one of our newer offices, NAI Select, was launched two years ago and has already grown its management portfolio by 30 percent and added five new brokers last year, Principal Ben Kneadler told me. He said the Treasure Valley – basically the I‐84 corridor with four or five cities in it, including Boise, has seen a substantial influx of people from coastal cities in recent years because it reminds many of them of a quieter place and time when they grew up in the 1970s and 1980s. “Most people come to Boise for the quality of life. Plus, and we don’t have any hard data for this, but everyone I know knows someone that lives here and works virtually, often with a tech company in the Bay Area or Seattle, so while that trend is not a huge driver for commercial real estate, it is affecting our residential market,” Kneadler said. Most virtual workers cite disillusionment with their former region’s soaring home prices, lengthening commutes and challenges for raising families – elements that Arizona, Nevada, Utah and Idaho share in terms of advantages over larger states with big economic engines. 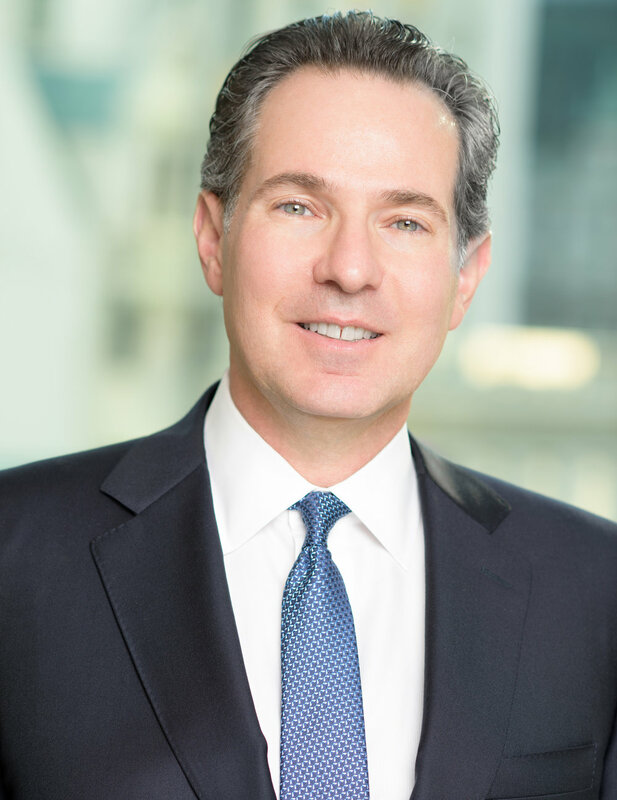 Jay Olshonsky is NAI Global President and CEO. The views expressed here are the author’s own and not that of ALM’s Real Estate Media Group.